I caught up with Jaered while he was preparing for Carmen, and now that I have the photographs from the dress rehearsal, here it is - enjoy ! Jaered was born in England and trained at Elmhurst and the Royal Ballet School. He joined the Royal New Zealand Ballet in September 2008. Jaered recently choreographed a work for RNZB’s in-house choreographic workshop. It’s a very informal thing, performed to friends & family over just two nights. The dancers only had two weeks to create their work. Here is Jaered's brilliant video clip. My coffee waiting for me in the café below work and sitting drinking it while watching the world go by before getting ready for class. I would have loved to have danced with Margot Fonteyn - a true ballerina in a time when ballet was so glamorous. I would love to sing and dance in A Chorus Line on Broadway. It is the epitome of what a dancer’s life is all about. I wake up at 8am; sing in the shower; wash as well obviously. Then pick out some clothes depending on my mood (99% of the time they are hideously colourful). Then go to work, grab a coffee and greet everyone loudly and cheerily whether they want me to or not (I understand not everyone is a morning person). Then it’s on to class and rehearsals followed possibly by a show depending on my schedule. If not it’s back home at about 6pm where I will cook and hang out with my flat mates and have that well deserved glass of wine (or 3) at the end of the day. I go to bed probably about 11.30pm listening to whatever music I am obsessed with at the time. I usually eat loads (unless I'm really nervous and then I can’t eat much) and also have an energy drink. Do a good warm up and do my make up. I am pretty stress free with no drama. I love performing and getting ready just adds to the excitement. Dancing Escamillo in Didy Veldman’s Carmen my first soloist role. In this production he is a rock star dressed in leather with white blonde hair and his solo is played on the electric guitar so it is literally going to rock. Princes Diana, Walt Disney, Rudolf Nureyev, Amy Winehouse, Andy Warhol and of course Lady Gaga these are all people I admire and who inspire me for different reasons and I think it would make one colourful and outrageous dinner party. I’m obsessed with 80’s culture and fashion and I change my hair all the time. My mum sent me to ballet with my sister to get rid of me for an hour and to try and tire me out. I was a very naughty hyperactive child so I guess she was the inspiration for me developing a talent for dance. I guess they would probably describe me as loud, friendly and a little bit too much. Don’t take things too seriously always have try and enjoy what you do and never hold back. You have one life and career so make it a good one. I think the most I have been challenged was doing a pas de deux called ‘through to you’ by Andrew Simmons. It is very beautiful but 10 minutes long which was hard for stamina and the lighting was also very dark which added another whole level of difficulty. Probably trying to kick my leg so high in Napoli Tarantella. My bottom leg slipped under me causing all 6ft 2 of me to plummet towards the floor landing on my bum. It was one of the awful moments when you shouldn’t laugh but can’t control yourself. I guess it would have to be something gold and metallic most likely and it would be very over the top! I call people ‘darling’ a lot probably due to overdosing on Absolutely Fabulous. A young Robert Redford would be lovely. Lady Gaga, Grace Jones, Amy Winehouse, The Killers, a lot of classical music too. I have a lot of music all very diverse and I could not live without my music it’s like therapy. Definitely chemistry between you and your partner without this it just becomes mechanical. I can do loads of tricks on a trampoline I can summersault and jump around like a hyperactive jellybean for hours and it’s great for your abs too! I don’t like to think about it too much because you never know what opportunities may lie ahead but I would love to be dancing a few more larger roles and I really would love to have more opportunities to choreograph as well.……. Oh and be extremely famous worldwide would be ok with me too. Love her imaginary dinner party guests! 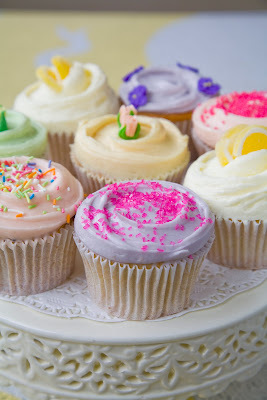 Wow, this is a great post--love the cupcakes and the other photos--they are gorgeous! Aww I remember Jared from RBS, he's quite a character and seems to be doing well at RNZB and choreographing as well. I danced with RNZB so I follow him with interest. Great to read more about how he is doing and wishing him all the best in windy Wellington which is a lot prettier than when I lived there many years ago.